The decade of the 1980s began with political turmoil and rapid growth due to a large influx of Cuban refugees as part of the Mariel Boat Lift. The decade also began with the acquittal of five cops in the Arthur McDuffie murder case. The ruling led to days of rioting in Liberty City and represented a time of violent civil unrest. The Dadeland Massacre in 1979 began a turbulent time in the drug wars around the Miami metropolitan area. The 1980s were referred to as the “Cocaine Cowboy” era in South Florida. It led Time Magazine to run a cover story about South Florida entitled “Paradise Lost”. 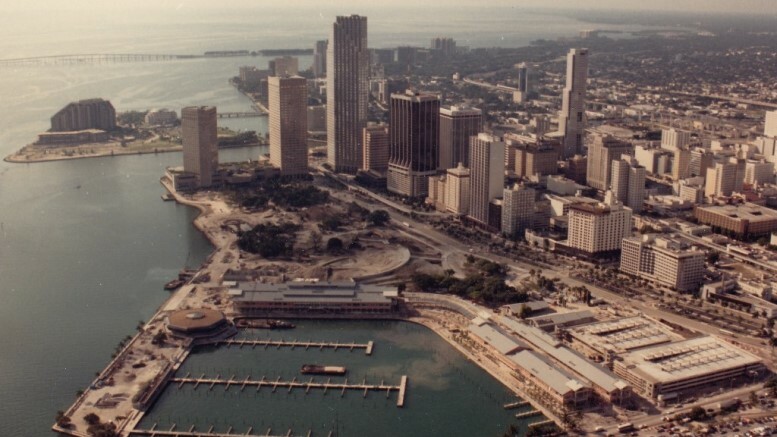 The 1980s was also a decade of a changing skyline for the Brickell neighborhood. Miami became well known as the film location of the movie “Scarface” and the television program “Miami Vice”. Art and Culture were big during this decade with the growth of the Coconut Grove Art Festival, International Film Festival and the Book Fair. Miami’s constantly changing demographics were on display in the 1980s. Many Cuban refugees, who arrived beginning in 1959, chose to become citizens. A large influx of Haitian refugees began arriving on into the Florida straits beginning in 1980. It became clear that there was a difference in how economic refugees were treated differently than political refugees.